Join us in Kelowna for the Spring WestJet Wine Tasting! 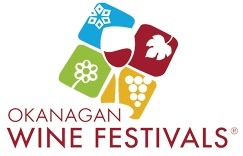 We will be there the Saturday tasting our 2018 Rose, 2018 Pinot Gris, 2018 Pioneer Block Riesling and our 2018 Silver Mane Block Riesling! This will for sure be an event you won’t want to miss! Click the link below to check out the event details and to purchase tickets.